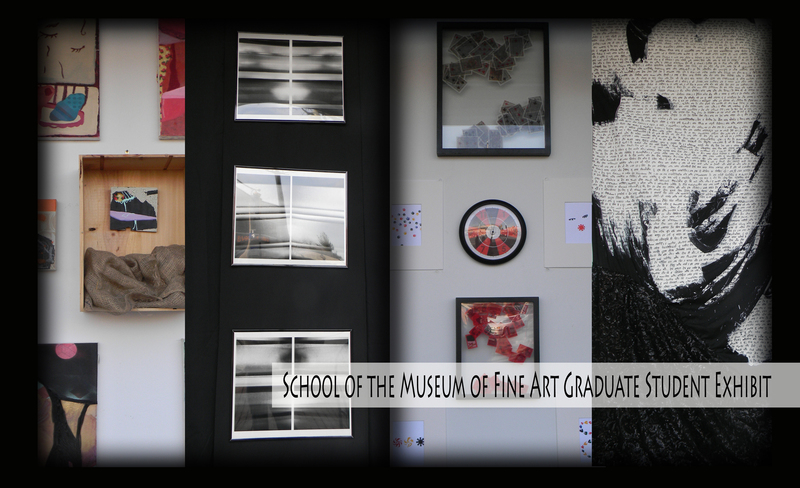 The Museum School’s partnership with Tufts University has allowed us as SMFA students to interact with and be a part of the Tufts community. The opportunity to have an exhibit at the Inside Out CVS Gallery was a unique initiative as it enables us to bring the art we create as SMFA and Tufts students to the Somerville community. This month’s Inside-OUT Gallery exhibit presents the work of four SMFA artists: Ana Loor, Johana Ortiz, Mi Seon Um and Shweta Sengupta. The show brings together each artist’s individualistic approach to identity and the delicate nature of experience that can begin to frame and form ones identity. Shweta Sengupta works around themes of home and belonging, looking at identity through a transnational lens. Ana Loor explores her dreams and desires of domesticity within her work. Johana Ortiz through her photographs reflects on her personal experiences while Mi Seon Um’s object based collage is tied to the addictions and everyday experiences of people that surround her.